My favorite part of the day is whenever I can enjoy a cup of coffee. From mornings to afternoons, Meditations to Dance Competitions, I'm happy as long as I have Coffee. It's love at first sip. I usually settle for a cup of hot coffee since that's all my brewer provides and all my local Coffee Shops are miles away. But, Summer and Hot Coffee just don't mix. 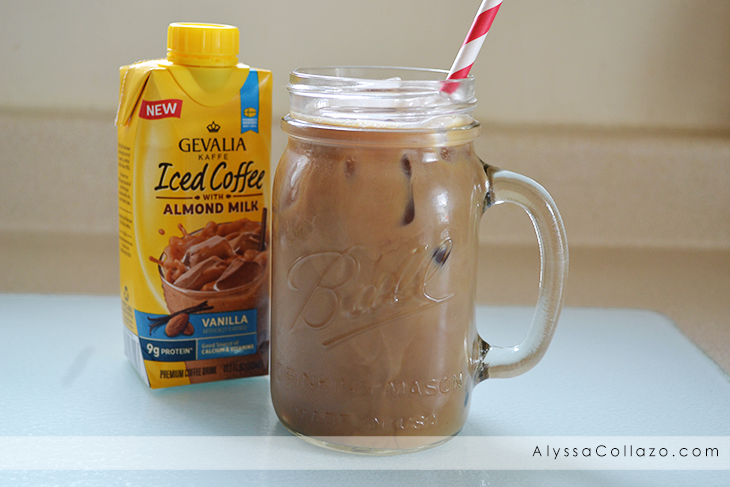 So here's my new summer drink of choice, Gevalia Iced Coffee with Almond Milk. Gevalia Iced Coffee with Almond Milk is perfect for anytime. Which is why it's so perfect for my routine. Each single serve carton has up to 9 grams of protein, is a good source of calcium and vitamins, and with creamy almond milk and just enough sweetness added, Gevalia Iced Coffee with Almond Milk is the ideal cup of coffee on-the-go, next to my yoga mat, pool side, or simply in the morning when temps are high and all I want/need is a delicious cup of Iced Coffee. I even stick a carton in my purse and enjoy it while my daughter dances away at practice or competition. Gevalia Iced Coffee with Almond Milk is available now in grocery stores across the U.S. in 3 incredible flavors Caramel, Mocha and Vanilla. 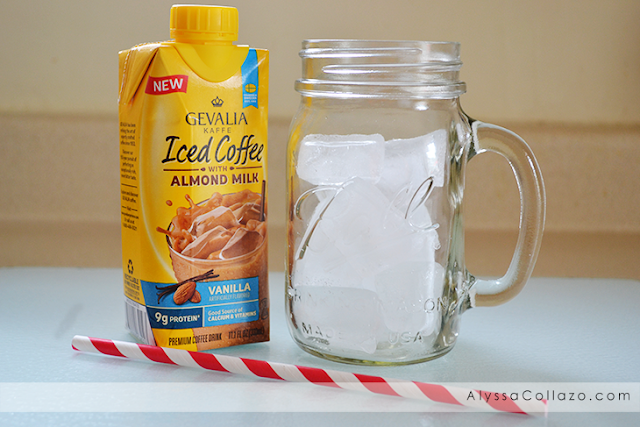 You can drink Gevalia Iced Coffee with Almond Milk straight out of the carton on your way to work or you could indulge a bit and pour it over ice. You can even add whipped cream and drizzle Chocolate or Caramel on top. The Coffee itself is smooth and full of flavor. It's very rich, not at all bitter and is made with 100% Arabica Gevalia coffee. Needless to say, I am completely sold. 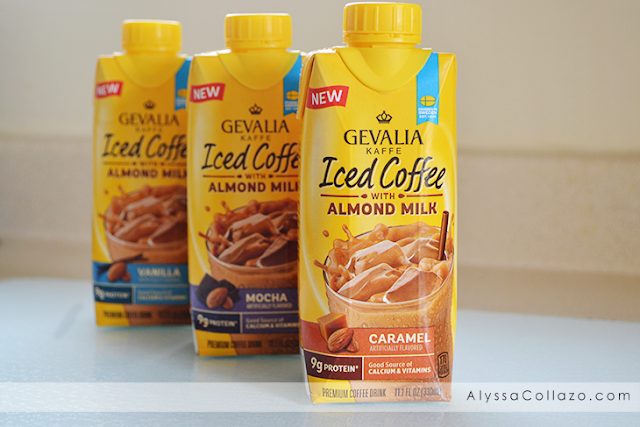 Gevalia Iced Coffee with Almond Milk is a new ready-to-drink iced coffee beverage with the goodness of almond milk and nine grams of protein per single serve carton because who doesn't need a quick, delicious pick-me-up throughout our busy days? Have you experienced Gevalia Iced Coffee with Almond Milk? Be sure to check out their website and follow them on Facebook and Twitter. That looks really refreshing. 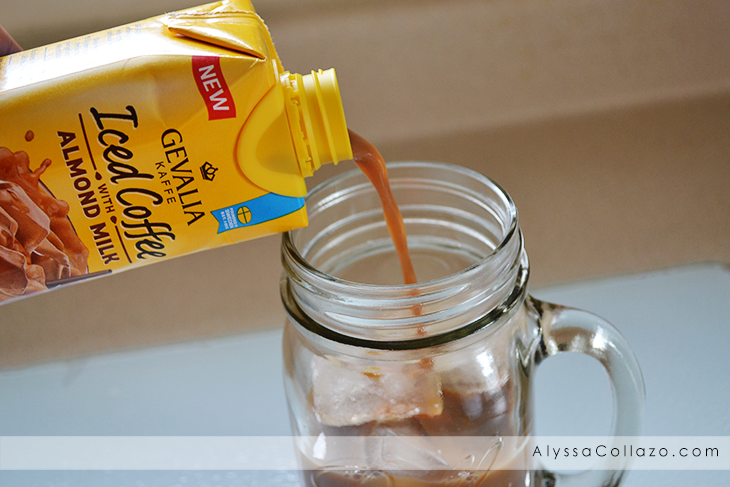 I haven't tried the Gevalia brand of iced coffee. I think it would be something I'd like. This looks yummy! I love iced coffee in the afternoon as a treat and I'll definitely be trying this out! I am totally addicted to iced coffee, so I need to try this for sure. I know I am going to love it. I would love to try that ice coffee out. i hope it beats the taste and price of Starbucks that are found in the local gas stations. I'm not a coffee drinker, but somehow this really grabs me. I think it's the almond milk and ice that makes it look extra yummy! Ooo this looks and sounds so refreshing! I'll have to give it a try. Iced coffee is one of those things I can not do without. I would have a fridge full of these if I could. Almond milk is the only milk I use. Why haven't I heard of this? I can hardly wait to try it. Looks refreshingly delicious! My wife absolutely loves Iced Coffee! I can't believe I haven't seen this yet until now. I have to get some of this for her. I haven't tried this brand, yet. I will look for this next time. I am a coffee addict, but I haven't tried that one yet. I actually haven't tried any coffee with almond milk. I love almonds so that must be good! Ooooh I so need to try this! I love almond milk but never tried it with iced coffee. Just yesterday I made myself my first iced coffee since last summer. It was delicious, but with these almond milk flavors I'm sure it would have been much better! Oooo this sounds absolutely delicious!! Nothing better than an iced coffee on a hot summer day! I've always wanted to try almond milk. It sounds interesting and yummy! I'll need to try it out soon! I bleed coffee! Iced coffee is so refreshing and Gevalia coffee with almond milk sounds like something I need to try. Thanks for sharing! Oh yum! I totally need this in my house right now. I love anything with almond milk! I am obsessed with the idea that they are using almond milk! What a delicious morning treat instead of a regular cup of coffee. Iced coffee is my go to summer drink. This is on my shopping list. I love that it's high in protein and it looks creamy and delicious!